Samarra (Iraq) (AFP) - At least 16 people died in a bomb attack Thursday during funerals in a northern village for Iraqi fighters killed by the Islamic State group, the mayor said. Most of 14 people wounded in the blast were in "critical condition", he said. The funeral was for five members of the Hashed al-Shaabi paramilitary units, which fought alongside the army in expelling IS from Iraqi towns last year. 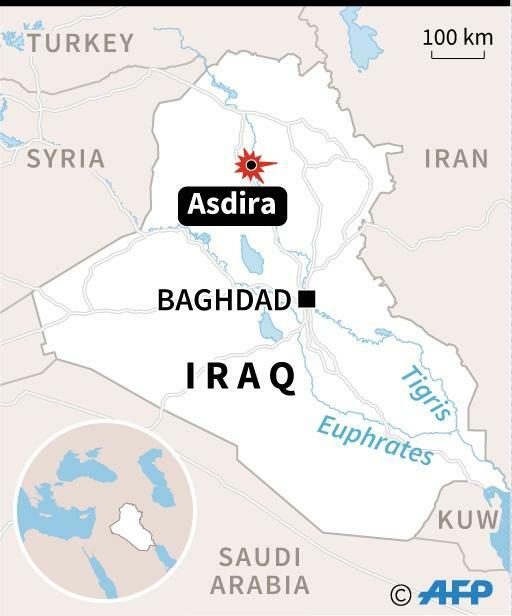 They were killed on Wednesday night in a jihadist attack on a military convoy in the village, 250 kilometres (150 miles) north of Baghdad, a police source said.